Since 1975, overall health expenditure in Canada has been steadily rising by 2.7%. For those taking multiple medications at a time, keeping track of when to take them and order refills can be complicated, especially with those who suffer from issues such as dementia. Evenset has developed MedEssist, an app that facilitates drug reminders, drug entry and refill orders. Evenset has partnered with a pharmacy to develop a mobile application to manage patients prescribed medication. 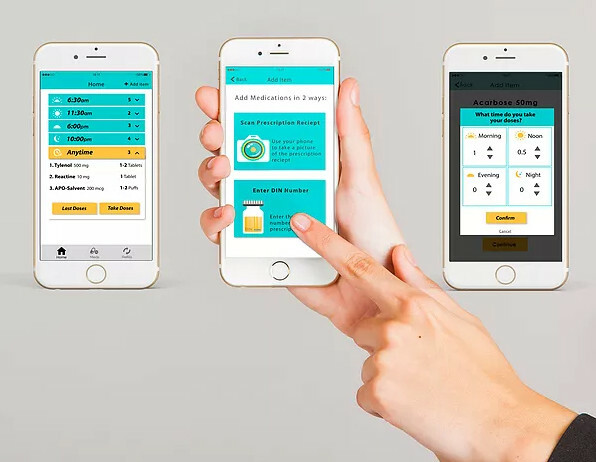 Along with providing drug reminders, entry, and refill orders, the app includes a database of the medications with their information, side effects and images. It reminds the user the time he needs to take the medication as well as its dose and reason. With this app the user and his/her caregivers have peace of mind by seeing the history of medication usage.